Puppeteer Caroll Spinney celebrates 45 years playing two of Sesame Street's most iconic characters - Big Bird and Oscar the Grouch. Sesame Street celebrated its 45th year on the air this week and puppeteer Caroll Spinney is also celebrating 45 years playing two of the show's most iconic characters. Spinney, 80, has been Bird Bird and Oscar the Grouch since the first episode on Nov. 10, 1969, and says he hopes to put in another five years. The new documentary, "I Am Big Bird," shines a light on the man who has been behind Sesame Street's Big Bird and Oscar the Grouch since 1969, veteran puppeteer Caroll Spinney. (Hot Docs)"It doesn't feel like it was 45 years. It's amazing," he told CBC's Information Morning Saint John. Sesame Street television specials have taken Spinney to China, Japan, Australia, France, Germany, Canada and the United Kingdom. He has performed alongside countless movie stars, musicians and politicians. And he was even offered a seat as Big Bird on the ill-fated Space Shuttle Challenger in 1986 in a bid to get children more interested in the NASA program when Star Wars was all the rage. But there wasn't enough room for the costume, which is more than eight feet tall, sparing Spinney from the tragedy that saw the Challenger break apart 73 seconds into its flight, killing all seven people on board. "We were taping another episode of Sesame Street at the time it went up and they said, 'The ship is about to take off so we’re going to punch the broadcast of the takeoff onto the monitors on the set.' So we stopped working and watched the monitors and when we saw it blow up, it was like my scalp crawled," recalled Spinney. Caroll Spinney also plays Oscar the Grouch, Big Bird's cantankerous, garbage can-dwelling neighbour, on Sesame Street. (CBC)"I couldn’t believe how horrible that was and we were grieving for the pilots and the teacher [Christa McAuliffe], for their families and them losing their life like that. So tragic." Spinney has earned four Emmys, two Gold Records and two Grammy Awards. The U.S. Library of Congress declared Spinney, as Big Bird, a "Living Legend" and he also received the Lifetime Achievement Emmy Award from the National Association of Television Arts and Sciences. This spring, a documentary about his life called, I Am Big Bird, is coming, which Spinney predicts will make him more recognizable out of costume than ever before. But he has never minded being behind the beloved oversized yellow feathered bird, he said. At first, he was "kind of shy about wanting to be up there and being seen." And then, "I really loved being it and knowing I've got a secret," he said. Spinney, whose father was from St. David's Ridge, N.B., and whose mother emigrated from England to Cape Breton, N.S., was born in Waltham, Mass., and was named Caroll because he was born the day after Christmas. He began his puppetry career when he was about nine years old. "This was years before TV started for most people and I had seen a couple of puppet shows that just entertained me so much …​ And I said, 'Wow, that's really great, telling a story with little actors on your hand,'" he said. Spinney bought a monkey puppet for five cents and put on a show in the family's barn, charging two cents a head. "Sixteen people came," said Spinney. "I don’t know how I gave a show with only one puppet," he said with a laugh. Spinney said a distant cousin helped encourage him to get into show business by laughing at everything he did. "It got me going." Spinney's interest continued into adulthood and in 1958 he began his puppetry career on The Judy and Goggle Show. In 1969, Jim Henson, who created the Muppets, offered him a job and he joined Sesame Street for it inaugural season. "I couldn't believe my good fortune," said Spinney. He said the show was well received from the beginning, but he never dreamed it would become the longest-running children's show in TV history. "I had no idea," he said. "It seemed very slow and dull to start with actually in a way because we had so much to learn, everybody involved with the show." For example, Big Bird's character was initially supposed to be "kind of goofy and not very bright," he said. "As the show progressed, a few months into it, when we all really caught on to what we were doing, I felt he shouldn’t be a goofy guy, but a child learning things, [like] children are learning at home." 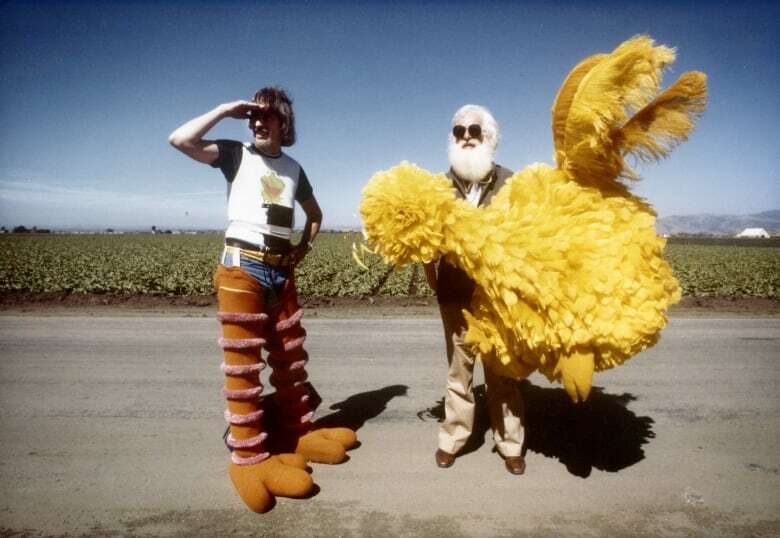 Spinney helped shape Big Bird's personality, settling on him being about six years old, which he has remained ever since. Meanwhile, Spinney will soon be celebrating his 81st birthday and says it can be physically demanding playing the part. He has to contort himself to get into the costume and sometimes sweats so much that he has to "peel" T-shirts off. He has even had to breathe oxygen backstage on occasion. Still, the pros of being part of such an engaging and enduring show far outweigh any cons, he said, attributing its success largely to it reinventing itself to give children — and their parents — what they want. "If something didn't test well with the audience, we wouldn't repeat it," he said. And every year, the show had new goals to teach; more than just the ABCs, said Spinney. "Like, for instance, following directions, so you learn to be a good worker and you learn to follow directions, get done what people would like you to do and task persistence, persist in accomplishing a job you have, and managing your emotions and not getting too worked up if things don't quite go your way. I mean, it doesn't help your career if you break down and cry when you haven't completed the job right." Spinney contends many children's television shows today are "inappropriate." "I think some of these shows work hard to try and end their childhood," he said. "Childhood is a short period of time, but it’s a rather special thing, I think. "The loss of innocence is sad," he said. "That’s why I think it’s great you can have your children watch Sesame Street and they’re not going to be wrongly influenced." Spinney says he often has people approach him with tears in their eyes and tell him how Sesame Street changed their lives. "It's a wonderful feeling," he said. "I really love that I'm able to be these characters." His successor Matt Vogel, who has been waiting in the wings as his understudy for almost 20 years, may have to wait another five if Spinney reaches his goal of 50 years with the show. "So I guess the Bird will definitely go on when I'm not here, which, I think, is a nice thing."